Staff turnover is an inevitable part of any business. When a staff member leaves you might want to remove them from Shedul or temporarily suspend them (in case they come back). To do this you will need to ensure they have no appointments scheduled in the future. This video will guide you on how to delete staff. Click the red "Delete" button. At this point, Shedul will check for any future appointments assigned to the staff member. An alert will pop up if any exist. Deletion is halted at this point and all future appointments for this staff member need to be canceled or reassigned to other staff members before you can continue. Note: Shedul will not delete any appointment information when a staff member is suspended or deleted. 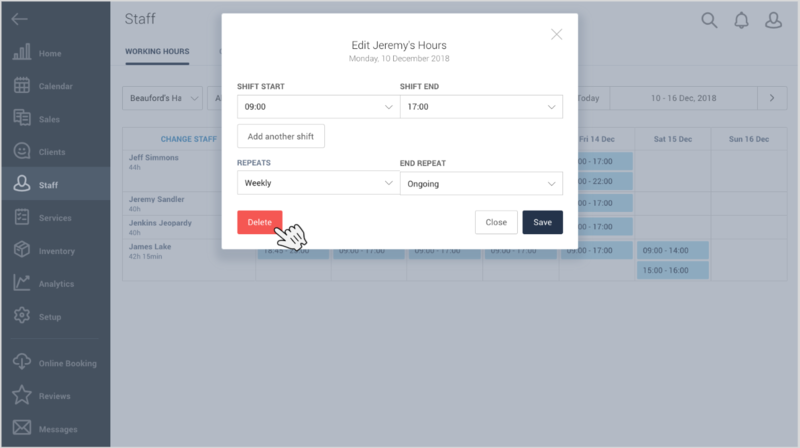 You will no longer be able to access their calendar, but the staff member's full appointment and sales history can be viewed under "Sales">"Appointments" and "Analytics" > "Reports", as well as through individual customer records. 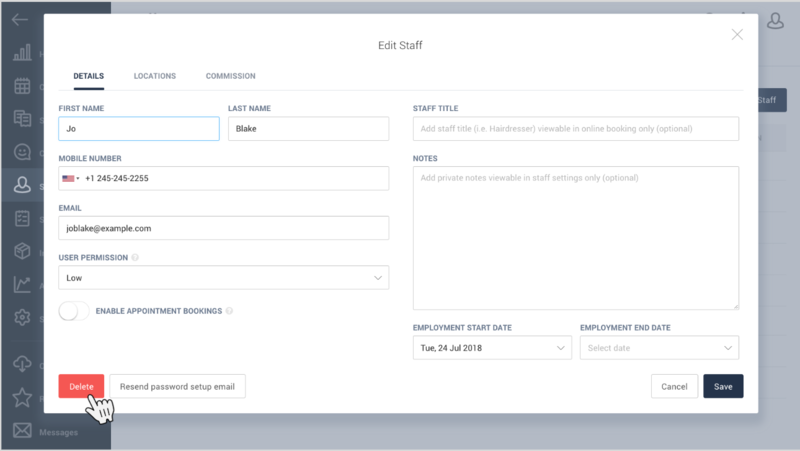 Tip: Make note of the deleted staff member's working hours under "Staff" > "Working Hours" to make sure that the deleted hours are covered by someone else if you still wish to have as much availability as before. Perhaps you have a seasonal staff member, or one with a prolonged absence and won't be taking appointments. 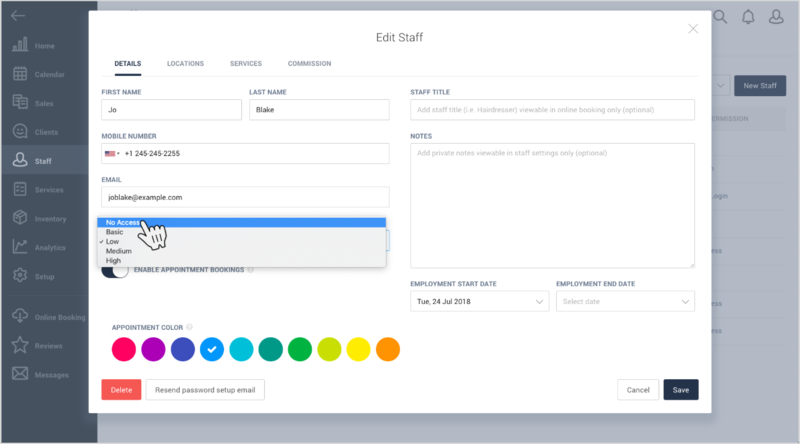 Then head to Staff > Staff Members to select the staff member and disable "enable appointment bookings". Either of these will stop the staff member from being booked online. Note: Remember to save each time you make an amendment in order for the change to take place. Deleting a staff member is not possible if they have any future bookings. You can find all of their future appointments and reassign them to other staff members, or cancel them. From here you can click on each appointment and navigate to the appointment screen where you will be able to reschedule, edit and reassign the appointment, or cancel it outright. This is used in the event where a staff member has a lot of future appointments and you need to revoke their access to Shedul quickly. Note: You can revoke access to temporary staff as well, and reinstate it only when they are working. 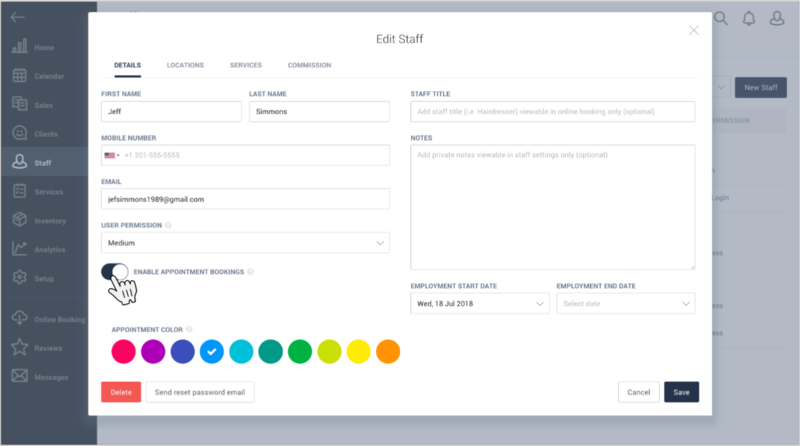 Tip: Deleted staff members have access automatically revoked and will be logged out of any device that they may be logged in with.